You know those really close friends your company has got? I’m sure you have a few of them. They’re the ones you meet up with for your Christmas party to have drinks on the rooftop, the ones you visit if it’s someone’s birthday, or the ones that get all your products or services for free and vice versa. They’re the ones you always refer to when explaining something about your product. They’re like a case study, but with lots of love attached. Pozible have been friends of elevio for a long time, and being based just around the corner it’s likely we bump into them at the local coffee shop every morning. 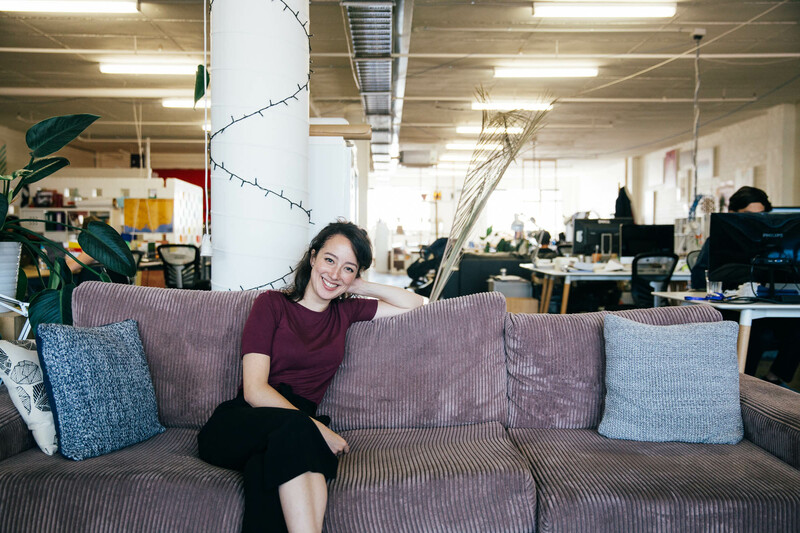 So it wasn’t a big deal to chat to them, specifically Lili – their customer happiness specialist, about structuring her day, building relationships with customers, and the most important thing to do after a conversation. I was born in Japan, where we lived until I was six, then we moved to Australia. I was always interested in art. After studying Art History & Theory, which I finished in 2015, I did an internship at an art magazine in Hong Kong. I was considering going into curatorship or publishing, but it’s very competitive and I wasn’t ready to go back to university to study my Masters. I knew I was determined to work in a creative industry though and actually knew of Pozible before. My sister is a musician and ran a successful campaign through them. She crowdfunded a campaign which sent her to Nashville to record her debut album and had cool rewards set up. I helped her post-campaign, for example sending out CDs. After that I had a few other friends who ran successful film and environmental campaigns on Pozible. They’re really recognizable in Australia. What’s your “official” position at Pozible? “Officially” it’s Customer Support Specialist, that’s the role I was hired for. But Elliot also calls it Customer Happiness Ninja, which sounds way more awesome. Do you know why they hired you over another person? I’m not quite sure, but I think it’s what it is with a lot of jobs – so much of it is personality and helping people, because you’re really working with end-users and real people. So if you have someone that’s personable and someone who understands what it’s like being an artist or comes from that background, you can empathise with them. I did do a little bit of customer support for the ATO, so I had some experience sometimes dealing with difficult customers, or how to deal with technical issues. This week it’s been rolling out of bed. I live about 30 minutes from the office and get public transport to work. So I wake up, try to eat a healthy breakfast – though it’s usually just box cereal. My friend and housemate Ciara also just started a full time job around the same time that I did, so we’re always rushing around the house at the same time. We get up, usually go to each other’s room and either try to steal each other’s clothes. I wear whatever she’s not wearing and vice versa. Today I’m actually wearing my own clothes. And I listen to music to wake myself up. I try to go to the gym after work – I have to bring my things to work, otherwise I won’t go. I mainly do cardio, I love running, but I’m also going to start karate with Ciara. I get into Pozible at 9, then the day usually starts with approving campaigns as we get a lot of campaigns coming through every day. When they come in the morning I just check if they tick all the boxes and give them feedback. So I just look at what the campaign’s like, and if there are big campaigns that come through we let each other know so everyone is aware. A big campaign would be one that not necessarily has a high target, but also a big community of supporters or sponsors behind it. So for example we had one in December, which was Operation OBP. It was raising funds to save the Orange Bellied Parrot from extinction run by the Australian National University in Canberra. I’ve seen a lot of environmental campaigns since I started at Pozible – a more recent one was our Patagonia Double Down partnership where the outdoor company selected 6 campaigns and matched the funds they received. Is that something that’s been happening over time? We had a meeting and we were talking about it the other day. From what it sounds like it’s more of a recent trend, but we want to still follow in a creative direction as well, getting more artists, musicians and makers on board. At the moment there are a lot of environmental and social good campaigns, which is always great though. Anyway, then I do customer support, which involves using Zendesk, going through tickets. People are usually either asking for campaign or technical advice. But the great thing is, I just point them to elevio. We’ve got all of it set up. All our articles are set up through elevio, so someone might ask if they can run a campaign from China for example, and I’ll link them the elevio articles. All our FAQ is set up through elevio, it makes my job so much easier, it definitely streamlines the experience. It’s seriously true. We’ve also added triggers, so if users come to their campaign setup page, I just added the little question marks that pull up information. Before that I was getting all the questions, “what do you mean by location? What do you mean by hero image?”. Now, with elevio they can just click that trigger and learn themselves. So you can actually tell that you’re getting less questions? Yes, especially in project management. It’s good, it gives them more responsibilities. They’re in charge and don’t constantly have to come to us feeling needy. Then I go through a bit of financial stuff and emails, and I also do phone chats, generally for campaign advice which is a great way to connect with customers rather than email. I can set my schedule, so I usually set a short timeframe in the morning, and then one in the afternoon. But I try and keep it limited as it’s hard to get everything done. It’s only 15 minutes, but a lot of people just want to talk and have a chat. It’s good to learn to be more authoritative and confident. In the afternoon I either help out with content, and am figuring out what I want to do outside support. Pozible’s got a good system where 90% of your time you’re working on Pozible, and then the other 10% of your time you spend working on a project of your own to create something of your own within Pozible. It’s flexible and there is room to make the role your own and steer it in your own direction. So Elliot for example would be working on new marketing projects or creative initiatives. 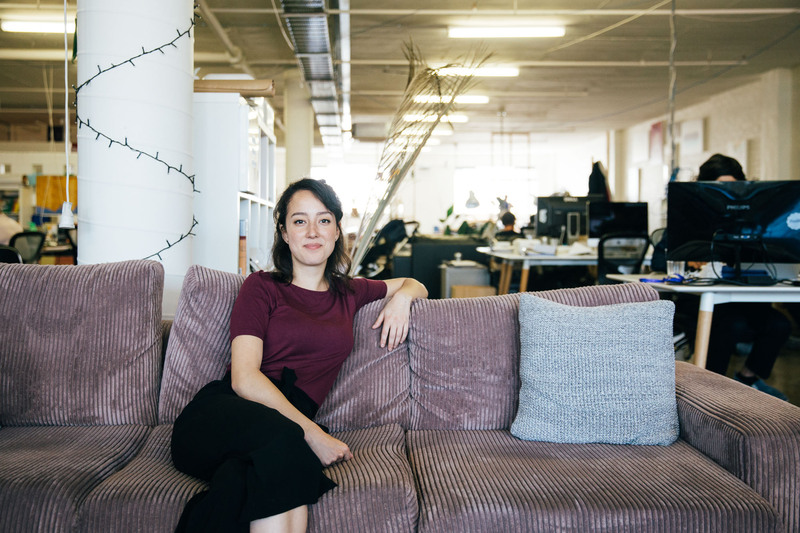 What makes you passionate about being part of the customer success team at Pozible? I know it sounds corny, but I genuinely feel good helping people. It’s really nice to see when you help them. And I love talking to artists. You have to be so brave to put yourself out there and make a campaign with an all or nothing crowd-funding model. What drives me is helping people achieve that. I like to feel involved in the project creator’s project in that sense. Some of the struggles in customer support would be not seeing eye to eye with the customer, or when they don’t have an understanding of what crowdfunding is it can be a bit hard to explain it to them. You always get difficult customers. For me, my background isn’t in tech, so that would also be something that’s a challenge for me. I might have to go ask Rizkey, Josh or Elliot, but there are also great resources that I can look at. Yes, we’ve got a really good internal support system. I can just turn to Elliot and ask him what to do. They’re very supportive and encouraging in that sense. Workplace culture is such an important thing now. If you have happy employees, I think it passes down and you have happy customers. I think Pozible does it really well, maybe because we’re such a small team (seven core people) it makes it a really collaborative and warm place to work. How do you create community and relationships, with both your customers as well as other customer support people? If it’s with people who are just supporting a campaign it’s more of a one-off situation. But you can develop really good relationships with people that are using the platform to run a creative project. You’re talking to them a lot, you’re giving them a lot of campaign advice. I think developing connections in customer support is always about following up. So always be really sincere and follow up on what you say you’re going to do. So if you say you’re going to forward resources, do it. If you’re gonna call them another time, call them at the time. If you’re gonna meet the, meet them. I’ve reached out to a couple of successful campaigners to ask them what made their campaign successful. I think that’s also good post-support. It’s good to maintain relationships. Again, following up and post-support is really important. To nurture that relationship you have to continue post-support, check in and see how they’re doing, reach out to them again, send them resources. The way you come across in your emails and the way you’re responding to tickets also matters, is not like an automated message. They realise they’re talking to a real human, they’re not talking to a robot. They’ll more likely to reach out again and come back. I guess you need to have analytics in place to measure that. That’s a really tricky one. It’s kind of measurable on Pozible. If someone’s asked a question and they’re then pledging, they’re using the website, so you can track that. We’re setting up surveys at the moment as well, to get information on our support. Maybe a bit of marketing comes into it, like how much engagement you get on social media can be reflective of great customer support. Are they following you on social media and engage with you? What’s next for you? Where do you want to get Pozible, and what impact do you want to have on their success within the next year or so? 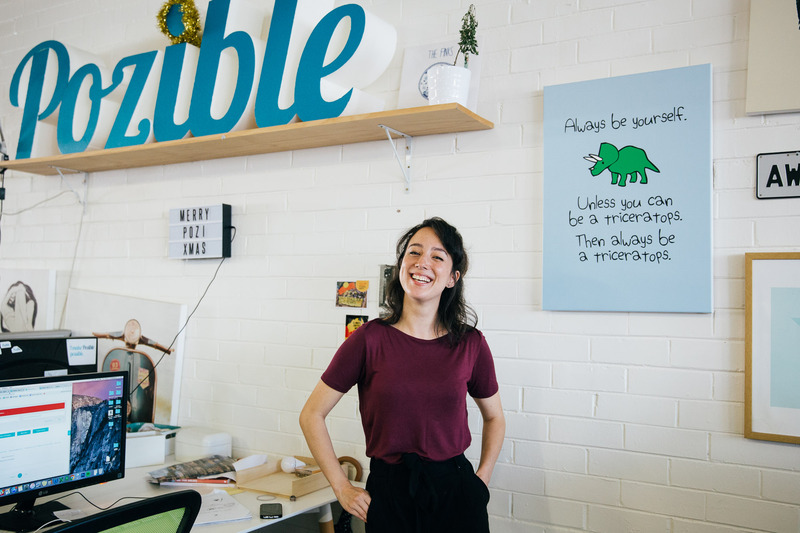 It’s inspiring to see how much Pozible is going to grow. They have ambitious goals and exciting initiatives in the pipeline for the next year. I’m really enjoying customer support, so I want to stay in that area, mainly in project advising. I think my main thing is working with project creators, so I really want to bring in more of them and encourage people to run successful projects and come back. Also helping people to look at the company in new ways. People have an idea of crowdfunding – it’d be great to help show different ways of doing that. If you love learning from others just as much as we do subscribe to our newsletter for more interviews with amazing people to come.